Canon RF 50mm f/1.2L: Is It Worth the Asking Price? 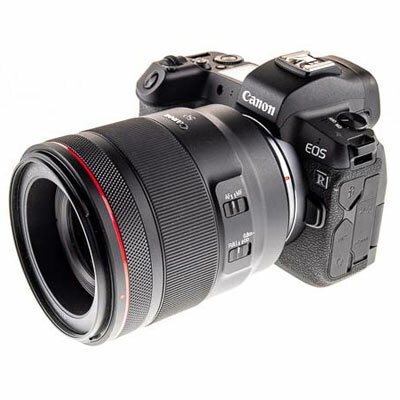 The new series of RF lens feels like we are in the new next-generation of glass coming from Canon. When EF lenses were first introduced all those years ago it was a big jump forward and the release of the RF lens feels the same. One of the latest model lenses to fit the new mirrorless camera systems is the RF 50mm f/1.2L USM. A standard focal length, a wide f/1.2 Aperture and ring-type UltraSonic Motor (USM) system made to take advantage of all the functionality from the latest series of cameras. The lens has a hefty price tag, but you are also buying into some quality glass and the latest technology. The question is, is it worth the asking price and is it a step up in functionality and optics? Along with the USM and wide open f/1.2 going to f/16, the lens has 10 rounded diaphragm blades, with 15 elements in nine groups. The closest focusing distances 0.40M and the maximum magnification 0.19x. The lens also comes with a E-77 II lens cap, ES-83 Lens hood and LP1319 lens case. With the lens hood attached it makes its lens look huge, like a reasonable sized zoom. It’s immediately obvious that this is a high quality lens. 11cm long and weighing in at 950g, it’s certainly not compact. It’s definitely a bigger unit than the EF equivalent. The construction is mostly plastic which feels a bit at odds compared to other L lenses, but it still has the same top-notch weatherproofing as you would expect. The lens build feels familiar and straightforward, with the new addition being the Lens Control Ring. This can be used to control various camera settings and is a first for Canon. The outside of the lens looks sparse with just two switches for AF/MF (manual focusing can be done in AF mode) and focus limiting, switching between Full and 0.8m settings. A notable omission is the lack of image stabilization, but you can’t have everything. The rubberised focus ring is as tactile as you would expect, but it doesn’t come to a hard stop making infinity a bit hard to hit. There’s no rotation when focusing, so 77mm filters of various types can be used. With a new era of lenses it’s expected to focus faster and quieter than before. This is definitely the case with the USM working nearly silently, which will be great for video guys and focusing is extremely quick with situations of hunting only in very low light. The new RF lenses should have better and quicker communication with camera bodies moving forward, so focusing accuracy and speed should increase over time. With an aperture of f/1.2 the first port of call is to obviously try out the Bokeh. The iris diaphragm gives some very nice creamy blur, with lovely rounded highlights which is down to the 10 rounded blades. There are very minor amounts of chromatic aberration, with minimal amounts of vignetting and distortion in the corners when fully wide open. Going higher than f/4 solves this as with post editing. Using the aperture at f/1.2 especially close up gives a very shallow depth of field, which as you would expect with a lens of this quality is both sharp in the middle going out to a very pleasing blur. The best center to edge sharpness starts kicking in at f/2 and above, starting to drop off again around f/16. With the quality of blur, you immediately think of portraits for this lens, but it could also be used easily for weddings, landscapes or events. Pin sharpness and pleasing bokeh is what you would expect from a lens like this one. The Canon 50mm f/1.2L is definitely a step up for the RF range, being able to get sharp images across the aperture range, while also giving quality bokeh when it’s needed. There is no denying that this is a top notch 50mm lens and with the f/1.2 aperture, you can’t get a better 50mm lens from Canon at the moment. The lens is built extremely well as per L-series lenses and full weatherproofing is the other feature of quality. The sharpness of the images really comes apparent in low lighting. The balance of bokeh and sharpness becomes a great creative tool and inspires you to want to take more as this lens is always producing quality. There’s a slight bit of chromatic aberration and distortion, but it’s really minimal. The only real downside is a bit of vignetting when the lens is wide open at f/1.2, but you can lose a bit of bokeh and stop down to f/4 or remedy this in postprocessing. The omission of image stabilisation is not really a big deal here as the lens is certainly wide enough to be used in very low light and reading between the lines something of this quality will be more likely used for those special shots, maybe on a tripod. In this price bracket the 50mm f/1.2L is also up against other 50mm, top third-party brands where some of them are manual focus only. Me thinking of landscape photography where your most likely to use manual focus and want the highest quality prime lens. On a Canon EOS R, the benefits of focusing speed and quiet operation are soon evident. Hit rate goes up when you have more peace of mind that you’re getting every shot, especially good for things like wedding photography. There’s also the added functionality with the Lens Control Ring, which will require some practice time, but in the long run become a useful feature. 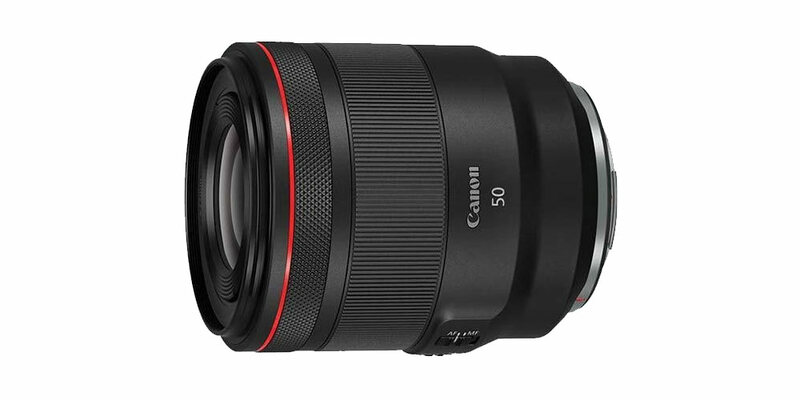 All this means that the Canon 50mm f/1.2L ticks nearly every box for being the ideal 50mm lens of choice, but your going to have to pay for that quality. $2299 and being a heavyweight prime lens means it’s aimed at a certain slice of the camera market for those with deep pockets and/or those wanting the best glass at 50mm. The resulting images speak for themselves in terms of quality and you can’t get better from the Canon lineup in 50mms.